Whether you're looking to improve your classroom experience, or simply become more familiar with accounting concepts, 1,001 Accounting Practice Problems For Dummies is the hands-on tool you need to get a step ahead. The book's practice questions and review content go hand-in-hand with the content offered in Accounting For Dummies, ensuring that you have a working knowledge of the most important concepts and skills in accounting. This practical resource gives you access to tons of helpful online content, including practice problems in multiple-choice format, and customizable practice sets for self-directed study, all available on the go through your smartphone, laptop, or tablet. Practice problems are categorized as easy, medium, or hard, so you can build your knowledge at your own pace. A perfect companion for anyone looking to increase their accounting skills, this book has the added benefit of offering review and practice useful for individuals looking to pass their accounting courses and lay the groundwork for an accounting career. 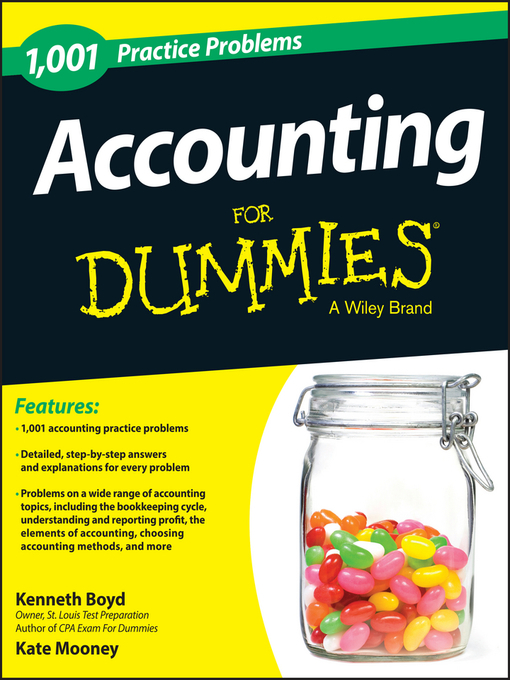 Packed with endless practice opportunities, 1,001 Accounting Practice Problems For Dummies has everything you need to jumpstart your journey into accounting and financial documentation.